The IIHF Ice Hockey World Championship Trophy will be introduced to the Slovak public within the launch of Coca-Cola's new campaign, whose ambassadors are world ice hockey legends. Marian Hossa and Patrik Elias introduced the trophy in the Ondrej Nepela Stadium. Over more than 130 years, during which consumers' taste preferences and life style have naturally changed, Coca-Cola has always come with innovative brands and own identity. Today, the company presents something which connects not only Slovakia and the Czech Republic but the whole world. It is sport on ice. Ice hockey is real passion for all generations of Slovaks. Last time, Slovaks were able to watch the Ice Hockey World championship in person 8 years ago and Coca-Cola was also present. 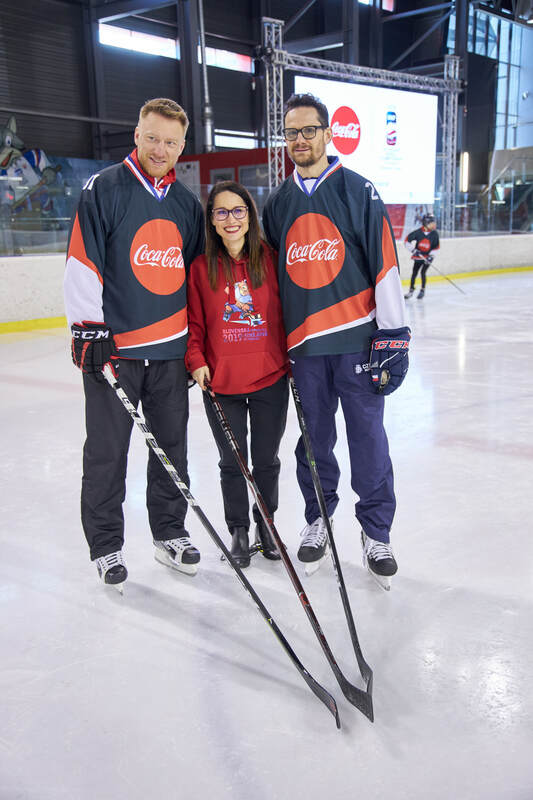 "It is our honor that we were able to connect with ice hockey legends such as Marian Hossa and Patrik Elias, who, in today's online times, support and initiate the interest in sport in young people," said Natalia Stroe, Country Manager of The Coca-Cola Company for the Czech Republic & Slovakia. The ice hockey campaign itself is in the spirit of a funny game with ice hockey rules entitled #cokerulez. In addition to a television spot, interactive fun zones, activations in the sales points and special ice hockey edition of Coca-Cola drinks, a digital campaign featuring local Slovak influencers is also part of the communication. 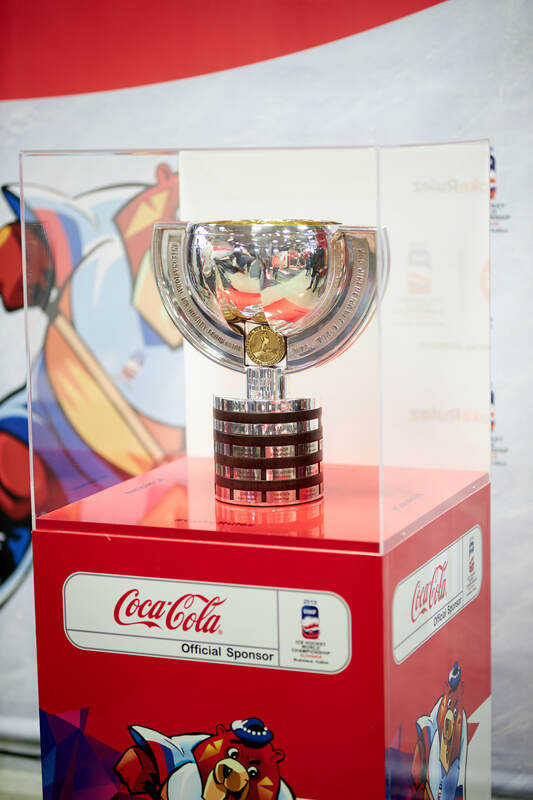 This year, Coca-Cola also provides a special opportunity to see the IIHF Ice Hockey World Championship Trophy, which will visit, within the 2019 IIHF Ice Hockey World Championship Trophy Tour by Coca-Cola, 15 towns across Slovakia in the period from March 30, 2019 to April 13, 2019. You will be able to see the trophy for example in Bratislava, Kosice, Poprad, Zilina, Trencin or Banska Bystrica. The partnership is accompanied especially by the Coca-Cola Zero brand. "We really believe our Zero is a Hero. Our consumers' needs are changing and we strive to address their preferences and support them in calorie intake control," added Maria Kolarovska, Regional Sales Manager Slovakia for Coca-Cola HBC Cesko and Slovensko. At the same time, Coca-Cola is proud to have achieved excellent results, where the sale of the calorie-free and low-caloric drink portfolio has risen, over the last two years, 50%. The company tries to support especially young people in restricted sugar consumption not only by reducing sugar content in its drinks. Since September 2018, Coca-Cola has reduced, beyond the frame of its legal obligations, the sale of sugary drinks in high schools across Slovakia, where it now offers only non-caloric and low-calorie drinks, water, juices and plant-based drinks AdeZ. Coca-Cola's interest in young people does not focus only on sport and reducing calories in drinks. One of the Coca-Cola HBC's community programs focuses on young people with restricted access to education and job opportunities. For this reason, the company will support them within the "To das" ('You Can Do It') program which will be introduced in Slovakia soon.